Why Do You Need To Prioritise And Take Control Of Your Life? You May Not Know It But The Bots Are Here! How Can Natural Skin Product Brands Use Big Data? Is Filtered Water Safer To Drink Than Other Types of Water? Why Consider Switching To Solar Power Systems For Your Home Today? What Will Happen to Us If There’s No Moon? Is There Such a Thing as Natural Makeup or Natural Lipstick? Beer…. it’s not only a good drink, you can also cook some awesome meals with it. Beer can really enhance a meal. Many chefs have known this for years and many traditional foods use beer. Since it comes in so many flavours (sweet, nutty, floral, roasted, coffee, chocolate, honey) there’s no end to how you can use it in your cooking. While wine can give some good flavours, many believe it doesn’t come close to beer when used in cooking. Plus, beer is cheaper which is a good advantage for a home cook or a restaurant chef. Just like wine, never cook with beer that you wouldn’t drink. If you don’t like it in your glass, you’re not going to like it in your meal. Match the intensities of the ingredients. Beer and food should be in tasty harmony. Beer shouldn’t be used to cover up the flavour of the ingredients. It should be balanced. Overpowering the beer or the ingredients defeats the purpose of using beer in the first place. It’s fine to just have the beer as a background flavour, as long as it enhances the rest of the dish. By nature, beer is bitter. This bitterness comes from the hops, while malt adds a sweet flavour that counters the bitterness of the hops. So, sweet foods will benefit from the combination of hops and bitter tastes. Carrots, onions, and some honey can be used. Caramelised onions are a good example of a sweet vegetable that can be used with beer. The bitter hop flavour can also help in counteracting rich, creamy, cheesy and oil based dishes but use it sparingly just like a touch of vinegar or a squeeze of lemon. Take advantage of food similarities. If a meal has a citrus flavour, use a beer with a citrus flavour. IPAs will work for citrus dishes because of the citrus hops used in making them. Porter and stout brings out great flavours in stews. The yeast in beer is well suited for batters and baking. Breads, pancakes and fritters can benefit from being made with yeasty brews. This lightens the texture and make for a tasty, tender and flaky crust. Be careful with the bitterness of beer. Always remember that whenever you cook beer, the flavours become concentrated. Thus a bitter beer will become even more bitter when cooked. IPAs and pale ales can work wonderfully if used properly. The more beer is cooked and reduced, the stronger the flavour will be, unlike wine. If a dish requires long cooking and reduction, try to avoid using strong brews. Beer helps in tenderising meats, thus they are good for mixing with marinades. Game meats go well with beer and so does chicken and fish. If you’re new to using beer in cooking, robust dishes are good to start with before experimenting with beer subtleties and other refined flavourings. Don’t add beer just for the sake of it. Think about what you’re bringing to the table, figuratively and literally. One of the hardest decisions in cooking using beer is deciding which type of beer to use. If you have been into a beer isle in your local supermarket or other stores that sells imported or craft beers, you will get confused or overwhelmed when picking the best selection. Let’s try to learn the beer types and styles you could include in your next meal. This type of beer is brewed with top fermenting yeast at cellar temperature. Ales are full-bodied with hints of fruit or spice with a pleasant hop finish. Ales come in many varieties that includes mild, bitter, abbey ales, pale ales, nut browns. Ales are often darker than lagers. It ranges from rich gold to reddish amber. Because they are top fermented, the hops give this beer a distinct fruitiness with a good bitter seasoning. This word originated from the German word “lagern” which means “to store”. Lagers are made through a method of storing the beer for several months in near-freezing temperatures. Lagers have a crisp and refreshing character with a smooth finish achieved through longer aging. Lagers are the most popular type of beer in the world. A lager can range from sweet to bitter and from pale to burgundy to black. The term is also used to describe bottom-fermented brews including Dutch, Czech and German styles, but most lagers are pale to medium in colour. It has high carbonation with a medium to high hop flavour. There’s very little difference between a porter and a stout. Porter is a dark, almost black brew with a fruity-dry taste and top fermenting style. A porter is a type of ale that is brewed with a combination of roasted malt to impart the aroma, flavour and colour. Stout on the other hand is a very dark ruby red to black colour but not as sweet. It has a rich, creamy head and is flavoured and coloured by roasted barley. Stouts use a portion of unmalted roasted barley to create the dark, coffee-like, chocolatey and astringent character. Malt beers are usually sweet and dark. Malt beers contain hints of caramel, toffee and nuts. Malts can be light to full-bodied. Ambers. These are very versatile beers. They are full bodied malt roams with some hints of caramel. Ambers can be a lager or an ale. Brown. This type is either dark amber or brown in colour. Brown ales have hints of chocolate and caramel with a slight citrus note. It can be strong, nutty or malty depending on the brewing area. Blonde. Blonde ales are pale in colour and tend to be clear, dry and crisp. They have low to medium levels of bitterness and an aroma of hops and a bit of sweetness from the malt. Cream. This is a sweet, mild and golden style ale. Dark beer. This is a British style beer combining malts, yeast and hops. It has a chestnut colour with a delicate fruity smell with a robust and malty character. Fruit beer. Most fruit beers are ales but do not carry a typical ale characteristic. The malt is not dominant with a low bitterness to allow the fruitier flavour to come out. Golden. These British-style beers are ales with a straw-coloured drink with a hint of vanilla and citrus. India Pale Ale. Also known as IPA, this is a hoppier version of a pale ale. It was originally brewed in England using extra hops to prevent spoilage for the journey to British soldiers assigned in India. Pale. This style of beer has a copper colour with a fruity taste and has a robust character. Pale beers are best paired with spicy foods. Red. Red ales can be light brown or red in colour. They are moderate or heavy in flavour and have hints of caramel. Wheat. Easy, light to drink with very little aftertaste. Wheat gives a soft consistency. It is sometimes cloudy or hazy with a touch of fruity and spicy notes at the end. Now we have discussed the merits of beer as a drink, we can now move on and present recipes that take advantage of beer. Blend ¼ cup of beer, 1/3 cup of olive oil and the roasted garlic in a blender. Place the steak in a gallon-sized zip lock. Pour the marinade in the bag and then refrigerate to marinate. Wash and slice the mushrooms thinly. Rub 1 tablespoon of olive oil in a nonstick 10” saucepan and then place on low heat. Saute the mushrooms and onion. Salt to taste. Stir constantly to prevent from sticking. Cook until mushrooms are almost dehydrated and crisp. Pour the bock beer and thyme, let it simmer and let the mushrooms absorb the beer and return them to tenderness. Pan sear the steak in a heavy skillet over high heat. Rare steak needs 8-10 minutes per side while well done needs 15 minutes per side. After cooking, let the steak rest for a while. Slice across the grain and serve a spoonful over each slice of the steak. Grate the cheese. Cut the top portion of the bulb, wrap it in aluminum foil with a drizzle of olive oil, and roast it in the oven at 180C for 30 minutes. Melt butter in a pot on medium heat and then stir in the flour. Keep stirring until its golden brown. Add the chopped onion and then stir well. Slowly add the vegetable stock and then the beer. Mash up the roasted garlic and then mix it in followed by the paprika, pepper and salt. Bring it to a simmer over low heat. Remove from heat and slowly stir in the cheese until thick, creamy. You can add more beer if it is too thick. Prepare the grill for high, indirect heat and fit it with grill pan. If you’re using a charcoal grill, ban the charcoals on one side of the grill and place the drip pan on the empty side. Add ½” of water to the pan. Season chicken with 4321 spice rub. Place the beer can into the cavity of the chicken, legs pointing down to support the chicken. Place the can and chicken over the indirect heat over the drip pan. Grill the chicken, covered until it is cooked through and the thickest part of the chicken reads 80C or after 1 hour. Let the chicken rest for 10 minutes before carving and serve with the pan drippings. Heat the olive oil in a large pot over medium heat. Stir in the onion, garlic, pepper and salt. Cook and stir onion until it has softened and turned translucent or for about 5 minutes. Stir in the beef, Guinness, sliced potatoes and the quartered potatoes. Bring heat to high and let boil. Once boiling, reduce to medium-low and cover. Let it simmer until the beef is tender or for about 2 hours. Season with salt and pepper before serving. You can serve it with some crusty bread and a pint of Guinness to complete the dish. Using a wide pan, heat oil over medium heat. Add the bacon and onion and cook until brown. 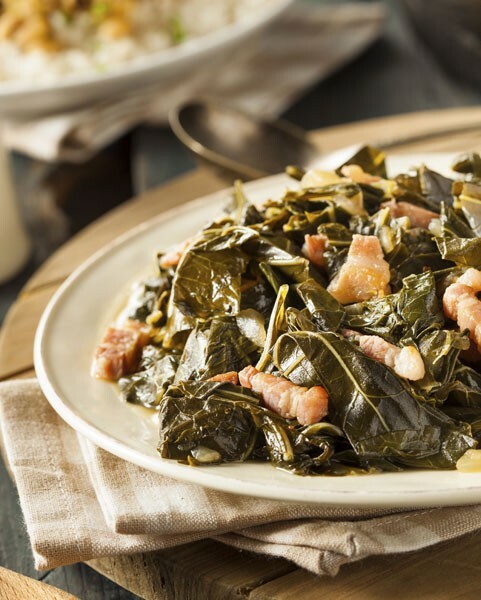 Toss the collard greens and cook until the leaves are slightly wilted or for about 5 minutes. Stir occasionally. Pour in the chicken stock and the beer and cook uncovered for 30 minutes. Add the butter and the vinegar during the last minute and season with salt and pepper. In a large bowl, mix the cream cheese, dressing mix and beer until smooth. Stir in the cheddar cheese and serve with pretzels and your choice of cold beer. Rinse the wings under cold water and dry using paper towel. Marinate the wings in the stout and refrigerate for 5 hours or overnight. After marinating, drain wings and towel dry. Mix olive oil, spices and salt in a large bowl. Add the wings and toss to combine. Arrange wings on a baking sheet and then broil on high heat for 20 minutes. Turn wings halfway through cooking. In a separate saucepan over medium heat, reduce 1 cup of beer into ¼ cup. Remove from heat and let it cool. In a large bowl, mix and whisk the honey, ketchup, beer, hot sauce, fish sauce, honey and lime juice. Season with salt and pepper and then toss wings to coat. Top with the scallions and serve with your favorite beer. 1 lemon, cut into wedges. For the peas, soak in a large bowl of water, 3 times the volume of water for 1 ½ hours or overnight. After soaking, drain the peas and rinse. Place peas in a large pan with water over medium heat. Add bicarbonate soda, cover and bring it to a boil. Reduce heat and then simmer for 2 hours, stirring from time to time to prevent sticking. Once the peas turn mushy and soft, beat in the butter and season with salt and pepper. For the beer battered hake, combine yeast, flour, salt and sugar in a bowl. Add the beer and the vinegar, whisk until it forms a thick batter. Let it rest for 30 minutes and let it ferment. The batter is ready when you see bubbles appear. Heat oil in a deep fat fryer at 190C. Dip each onion into the batter and cook them in batches. Let it fry for 2-3 minutes or until golden brown. Dip each fish into the batter and then slowly lower them into the fryer. Cook one at a time or by batches. Cook for 4-6 minutes or until batter is golden brown. Fry the remaining batter to make scraps. Place the fillet on a plate with a spoonful of the mushed peas and tartare sauce on each side of the plate. Place the onion rings on another side. Enjoy. Pour the ale into a bowl and stir in the spices. Sift flour and baking powder together and then add them to the beer mixture slowly. Whisk the batter until thoroughly mixed. Add or remove flour to achieve your desired consistency, but it should be thick enough to coat the onions. Cut onion into rings. Pre-heat oven to 95C while preparing a deep fryer. If you don’t have a deep fryer, you can use any other heavy duty pan that is at least 4 inches deep. Heat the oil to 180C. Dunk the onion rings into the batter and fry them in batches. Fry onions until golden brown or for about 4-6 minutes. Do not overcrowd the fryer because it will lower the temperature which will result in soggy onion rings. Transfer cooked onion into a wire rack or a baking sheet. Season with salt and pepper and keep them in the oven until all batches are fried. Serve hot with BBQ sauce and a cold beer. Place the corned beef in a large pot with the ale, potatoes, carrots, onions, thyme and mustard. Add just enough water to cover the ingredients. Bring it a boil and gently simmer for 2 hours. Check the vegetables halfway through, if they are already tender, remove them and set aside. Add the cabbage and cook until they are tender. Once meat is tender, return all vegetables to the pot. Serve the meat in slices with the vegetables and broth while hot. Heat butter in a 5 quart heavy pot over moderately high heat. Cook onion, celery, garlic tomatoes, thyme, bay leaf salt and pepper. Stir occasionally until vegetables are soft. Pour beer and bring to a boil then add mussels. Cook and cover, stirring occasionally. Cook mussels until they open or for 4-6 minutes. Discard any mussels that remained closed after cooking. Discard bay leaf. In a separate small bowl, stir mustard and cream and then add this mixture to the hot broth. Add the parsley and whisk until well combined. Serve the sauce over the mussels. Pour half of the beer in a glass bowl and then add the chicken breast. Make sure that the chicken is well coated, cover the bowl and refrigerate for 30 minutes. To cook, melt 1 tablespoon of butter in a large skillet over medium heat. Add the mushrooms and saute for 5-10 minutes or until cooked. Remove from skillet and set aside. Melt the remaining butter in the skillet over medium heat and add the chicken. Cook on each side for 6 minutes or until cooked through. Reduce heat to low and then pour the remaining beer over the chicken. Add the mushrooms and then cover skillet, letting it simmer for 10 minutes. Sprinkle with cheese and then serve. Grease a 9” springform pan and line the bottom with parchment paper and then set aside. In a small saucepan, heat the stout and butter until butter is melted. Remove from heat and then whisk in sugar and cocoa until well blended. Combine the eggs, vanilla and sour cream and then whisk into the beer mixture. Combine flour and baking soda and then pour into the beer mixture, whisk until smooth. Pour the batter into the pan. Bake for 45-50 minutes at 180C or until the toothpick inserted near the center comes out clean. Once baked, let it cool completely on a wire rack. Remove the sides of the pan. In a large bowl, beat cream cheese until fluffy. Add the confectioners’ sugar and cream and beat until smooth. Remove the cake from the pan and place it on a cake stand or a platter. Spread icing on top and serve. In a large skillet, heat oil over medium heat and cook the Brussels sprouts with the cut side down until they are golden brown or for about 5 minutes. Add oil in each batch if needed. Remove the Brussels sprouts from the pan and then set aside. Add the shallots to pan and cook for 2 minutes. Pour the maple syrup and beer and whisk until combined. Let it simmer and let it reduce and starts to thicken. Add the Brussels sprouts into the pan. Season with salt and pepper and cook for another 5 minutes. Transfer into a serving dish and top with the toasted coconut. In a 5 quart slow cooker, place half of the bratwurst into the bottom and then arrange half of the green pepper, onion and red pepper over the sausages. Assemble the remaining sausages over the top and lay remaining vegetables. Throw in the bay leaves and garlic. Using a separate bowl. Mix half of the honey mustard sauce, the liquid smoke and beer. Pour into the slow cooker. If needed, add more beer to cover all the ingredients in the pot. Cover and cook for 4-5 hours. Prepare grill, preheat and lightly oil grate. Place the brats over the grill, but leave the onions and peppers. Baste brats with the remaining honey mustard sauce and occasionally turn until charred. Assemble the sausages on rolls and place onions and peppers on each sandwich. We hope you enjoy these delicious beer-infused recipes! Have any to add? Let us know your beer & cooking tips in the comments below. Jon specialises in research and content creation for content marketing campaigns. He’s worked on campaigns for some of Australia's largest brands including across Technology, Cloud Computing, Renewable energy and Corporate event management. He’s an avid scooterist and musician.